Last night over margaritas at a Tribeca restaurant, a friend asked, “So why did you move here?” He was wondering why I had transplanted my life from the Chicago suburbs to New York City at the end of 2018. What was it about this storied city that compelled me to leave the comforts of the Midwest, where I had spent most of my life? For years, New York beckoned as a place where I could bump into seven million people with a wide array of backgrounds and beliefs. The homogeneity of Wheaton, Ill., had become discomfiting. Having lived in Brooklyn for only four months now, I am keen on learning how to practice Christianity in a place where many neighbors either shrug or recoil at the notion. A faith that is culturally taken for granted remains untested. Reading widely reminds me that my understanding of God and God’s world is limited. I need the insights of others in order to fill in what I, owing to ignorance, sin or immaturity, cannot see. The desire to know how other people live and move and have their being in this beautiful, fractured world is the reason I try to read widely as well. The novelist Joyce Carol Oates says, “Reading is the sole means by which we slip, involuntarily, often helplessly, into another’s skin, another’s voice, another’s soul.” Thus, I seek out books by people who experience the world differently from me. Lit, a spiritual memoir by Mary Karr, sheds light on both the shame of addiction and the healing power of Catholic worship. Between the World and Me, from the essayist Ta-Nehisi Coates, helps me to grasp the unique cruelties people of color face in contemporary America. Novels like Americanah and Pachinko put flesh on debates about immigration and national identity. Together, they help me step into someone else’s shoes and practice compassion. Reading widely reminds me that my understanding of God and God’s world is limited. I need the insights of others in order to fill in what I, owing to ignorance, sin or immaturity, cannot see. So often, we do not know what we do not know. As the apostle Paul writes, “now we see through a glass darkly,” so we must rely on God and others to illuminate the truth. Reading widely is especially important in this deeply polarized moment in the United States. Many of us are tempted to only listen to people who see the world the same way we do. It was once the case that most Americans relied on the same three or four mainstream news outlets to learn about events of the day. There was a shared national narrative. Now, a proliferation of news sites and social media feeds caters to ideologically narrow audiences and seem to run on contempt for the other side. Even though it takes patience and practice, it is good to read people we disagree with, who challenge our beliefs or who simply get under our skin. Even though it takes patience and practice, it is good to read people we disagree with, who challenge our beliefs or who simply get under our skin. Oftentimes we find that the people on the other side of a hot-button issue are motivated by good reasoning and deeply held values. They are not the enemy. When I ride the New York City subway, I am confronted by a dizzying display of humanity. It is not always comfortable. People bump into me, play loud music, yell at their boyfriends or stay buried in their cell phones. Many days I remember with longing the quiet of driving down the road nestled in my blue Honda Civic. But the truth is that we all need each other to get where we are going. We are in it together, whether or not we want to be. Above all, the virtue of reading widely pairs well with reading deeply—not just to ingest information but to allow others’ words to sink into our souls. 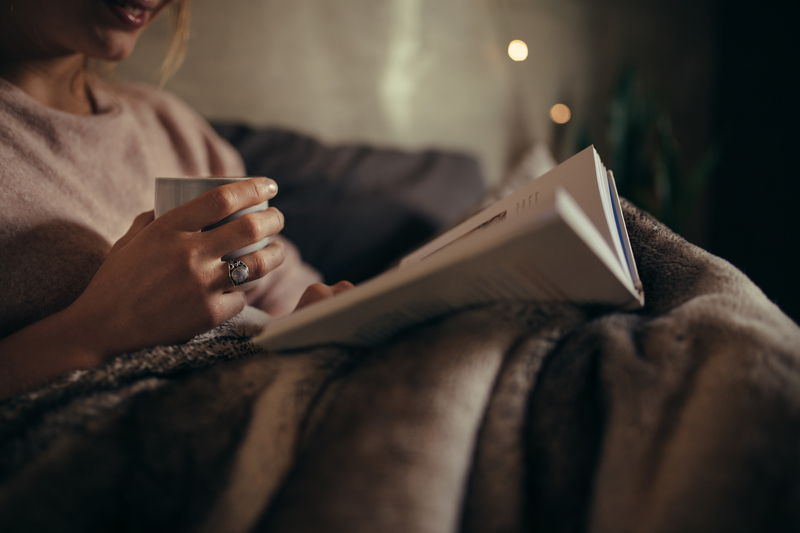 As the late Eugene Peterson wrote, “Reading is an immense gift, but only if the words are assimilated, taken into the soul—eaten, chewed, gnawed, received in unhurried delight.” In a place like New York, it is hard to do much of anything without feeling rushed. And yet life with God and with others requires that we slow down and really listen. There is a very long article about conversing civilly with others and reading about people who disagree with you. There is something called the Intellectual Dark Web (IDW). http://bit.ly/2KiQuIF Quote: The IDW doesn’t actually exist as a distinct something. It’s just a way to describe online content that explores politically incorrect topics, while remaining committed to an intellectual and civil tone. Good article. I liked the writing style very much. I admire the writing skill of Katelyn Beaty . https://www.milspecretail.com/	She has written it in a very beautiful way. I like to read books and articles related to different religions along with other books. It makes us realize that every content in these books is the same in one or other way. Great read. I don't learn anything from reading the opinions of people who believe as I do. I loved Pachinko and recommended to many friends because it gave me a window into a culture about which I knew next to nothing and enriched my understanding as a result. Welcome to the Big Apple! This article also appeared in print, under the headline "Reading Widely and Deeply," in the issue. Katelyn Beaty is the author of A Woman’s Place (Simon & Schuster) and an acquisitions editor at Brazos Press.